Working in the Indian Administrative Services is a matter of prestige. The UPSC IAS exam consists of 3 phases – Preliminary, Mains and Interview. Those who qualify the Prelims appear in Mains, and those who crack Mains are called for the interview process. Preliminary: It consists of 2 papers based on General studies. Mains: Total 9 papers are covered under the Mains. 2 papers are of qualifying nature and the other 7 are considered while preparing the merit. Interview: It tests the metal caliber, decision-making, leadership and other important qualities of a candidate. The UPSC exam is considered amongst the toughest in the country. Find complete details about UPSC IAS exam - click here. Preliminary Phase: It includes two papers – General Studies & Engineering Aptitude and Engineering Discipline. Mains Phase: This phase also includes two papers related to engineering discipline. Personality Test: Those who clear preliminary are called for mains and those who clarify mains are further called for the Personality test round. The primary position offered to a candidate after qualifying the exam is that of an Assistant Engineer. 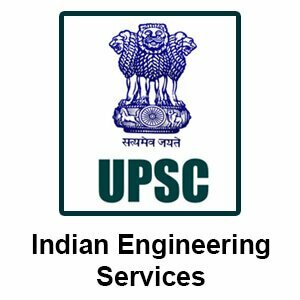 Read complete details about UPSC IES/ESE - click here. Preliminary: 2 papers of 200 marks each. Mains: Candidates who qualify the preliminary stage are eligible to appear in the mains exam. Personality Test: Interview or personality test carries 200 marks and candidates are checked on the parameters of leadership skills, decision-making and other traits. 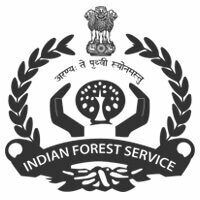 Get complete information of UPSC IFS exam here. For Air Force and Navy: Candidates should have passed 10+2 or equivalent examination with Mathematics and Physics. Candidates appearing for 12th class examination are also eligible. For Army: Candidates should have passed 10+2 or equivalent examination. Those appearing in the 10+2 examinations are also eligible. To read more about UPSC NDA exam - click here. Conducted twice a year, the exam recruits candidates for Indian military, navy and air force. 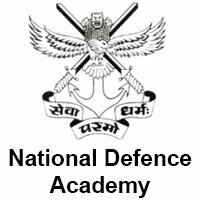 The exam is held twice a year, and the selection procedure is similar to that of NDA exam. The written exam is followed by SSB interview (which includes personal interview and physical fitness tests). The selected candidates then undergo training at Indian Military Academy, Naval Academy, Air Force Academy and Officer’s Training Academy. The CDS question paper for Indian Military, Navy, Air Force consist of 300 objective type questions from General Awareness, English and Mathematics sections while for Officer’s Training Academy consist 200 questions from General Awareness and English sections only. 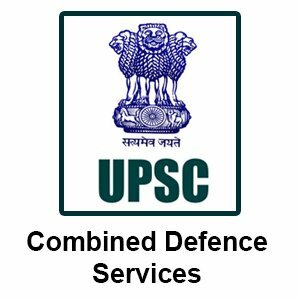 Check out the complete details of UPSC CDS - click here.